But the verse actually says, “the LOVE of money is the root of evil.” (1 Timothy 6:10). That scripture, coupled with a misunderstanding of the parable of the rich man who was told to give all his belongings to the poor (Mark 10:17-22) results in people assuming God hates money. Definitely not true, but He doesn’t want it to be our primary focus. Everything we have is temporary. And the value of everything is set by fickle people who decide the fluctuating value of gold and precious metal. It’s subjective based on the market. I’ve written about this before, but what we consider valuable now on earth is used to pave streets in heaven. That’s like deciding the concrete of the interstate is suddenly a luxurious commodity! 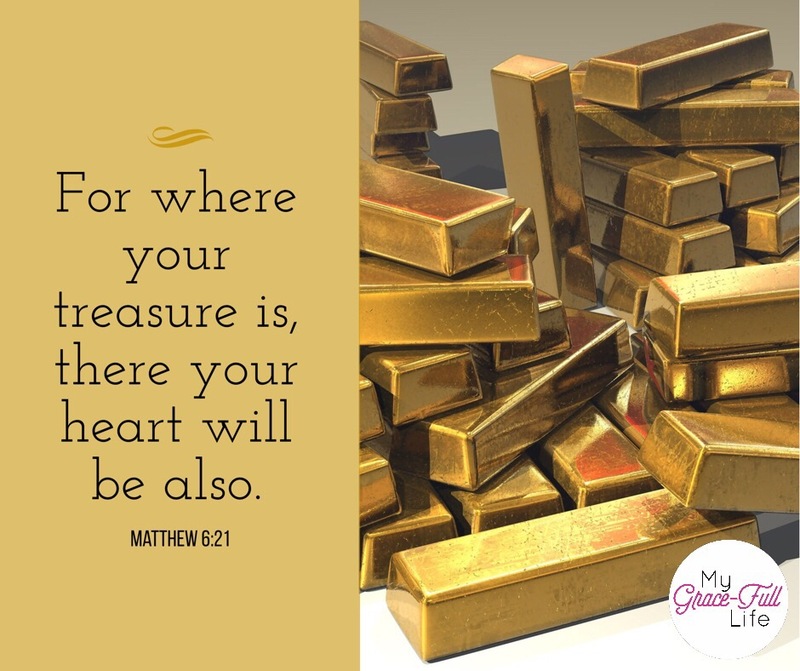 When we look at the possessions we have compared to the eternal riches and rewards of heaven, do they hold the same value? As a student of Dave Ramsey, I agree we should do what we can to live debt free and accumulate money for our retirement years… but Dave also speaks of giving generously. Going back to the parable of the rich man – Jesus didn’t tell him to get rid of his possessions because he shouldn’t have them, but said it to demonstrate that Jesus should come first. Today, as you pray, ask God to reveal if there’s anything in your heart you’ve placed too much value on… whether it’s money, possessions, or even success or other people! If Jesus isn’t first, ask for His help to shift your priorities.